Video game publisher Maximum Games, in partnership with developer Spiral House, has today released a brand-new trailer for its upcoming action adventure game, Troll and I. Today’s trailer highlights the game’s heroes, Otto and Troll, and the challenges they will face together as their relationship grows and evolves over the course of their journey. Taking place in the majestic mountains and lush forests of post-World War II, 1950’s-era Scandinavia, Troll and I follows the adventure of a teenage boy and the unlikely friendship he develops with a massive, mythical Troll. Though Otto moved to the backwoods with his family to live in harmony with nature, he now finds himself at the mercy of the unforgiving wilderness, ripped from his village when ruthless hunters looking for Troll destroy his home. Now with a bounty on his head, and forced into hiding to survive, Otto encounters and befriends Troll, an elusive creature of folklore and legend who has managed to stay hidden from the world…until now. Thrown together by circumstances out of their control, two stories of desperate survival become one. Humans aren’t the only adversaries this duo will face off against during their journey. The hunters, in pursuit of their prize, have unwittingly awakened ancient evils from the depths of the earth, vicious kobolds and worse. Otto and Troll must work together, using their respective strengths and inherent skills to complement each other’s weaknesses if they are to survive the dire circumstances they find themselves in. No matter the unpredictable challenges they may face, be it supernatural or of this world, Otto and Troll have each other’s backs and will face them, together. 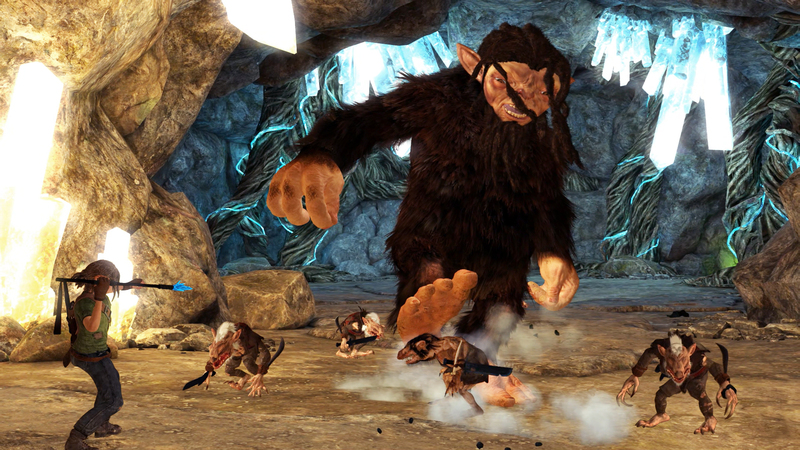 Troll and I features a combat system that allows contrasting abilities for each character: Troll and his highly damaging attacks can crush enemies in one blow while Otto incorporates more quick and nimble moves. Troll and Otto can also cohesively act as one to fight off rivals, solve puzzles and complete missions. Each employs their own distinct presence and gameplay functionality. Utilizing cooperative split-screen multiplayer, play locally with a friend, as teamwork is absolutely pivotal to staying alive. With a dynamic duo like Otto and Troll, the local co-op feature allows for shared collaboration between two gamers, creating an experience equally captivating for both players. Troll and I is set for release on March 21, 2017 in North America, and March 24, 2017 in Europe. It is currently available for pre-order for $49.99 on PC, Xbox One, and PlayStation 4.